Lobsang Phuntsok is a Buddhist monk that received the honor of being trained under the guidance of His Holiness The Dalai Lama. The objective was in order for him to share Tibetan Buddhism with the West. However, in 2006, he felt called to leave the United States and return to his birthplace to rescue unwanted children. To that end, he built a children’s community called The Garden of Love and Compassion or Jhamtse Gatsal. This haven is located in the remote foothills of the Himalayas. The 85 children who live there have tragic stories; some of them lost their parents at a very young age, others were abandoned, still others were actually sold by their parents. These children have been made to feel like uninvited guests in the world. A child who is accepted at Jhamtse Gatsal, doesn’t stay for a short time. It’s a long-term arrangement in which Lobsang Phuntsok becomes a parent to him or her. Having had to grow up without a dad, Lobsang takes his responsibility very seriously. And even though he missed out on his own childhood, he gets pleasure from playing and laughing with the children at Jhamtse Gatsal. Saying yes to a child is the same as saying that he will save the child’s life. Saying no, then, is extremely difficult because it would be equal to saying that the child cannot be saved. Due to extreme poverty, some parents willingly offer their children and beg for them to be taken into the Garden of Love and Compassion. They see this as their only hope. It’s very difficult for the monk to decide who gets to join the community and be rescued and who doesn’t. He receives hundreds of requests and this means saying ‘yes’ to one but ‘no’ to many others because there simply isn’t enough space. As it is, the kids share beds and there’s no room for any more beds. Tashi Droma is a beautiful little girl who arrived at the Garden because her mother died of a bad illness and her father, a chronic alcoholic, could not care for her. After 6 months at Jhamtse Gatsal, she continued to be extremely naughty. Tashi would spit on her classmates and hit them, plus she had trouble sharing. Tashi would even wet her bed at night and, as in everything else, try to hide the fact by lying. 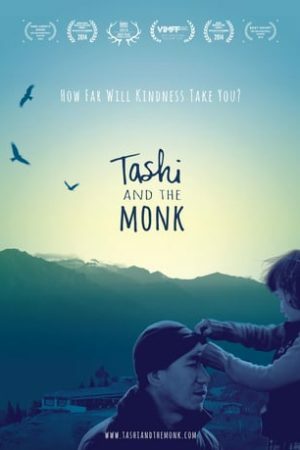 Teachers and caretakers met often to discuss what needed to be done to help Tashi work through her anger, grief, and deep feelings of rejection. The monk decided to ask one of the older boys to be a big brother to Tashi and help her understand the difference between right and wrong. Eventually, Tashi felt enough love and trust to allow her life to be changed. Watch this award winning film now.